A right mixture of rain, wind and sun could lead to very creative shots during a wedding and luckily for us this was one of those days.Walking around Old Montreal we experienced a bit of all three. Near the end of the photoshoot the rain briefly subsided and the Phototerra team was able to capture a sequence of frames before making our way to the ceremony. 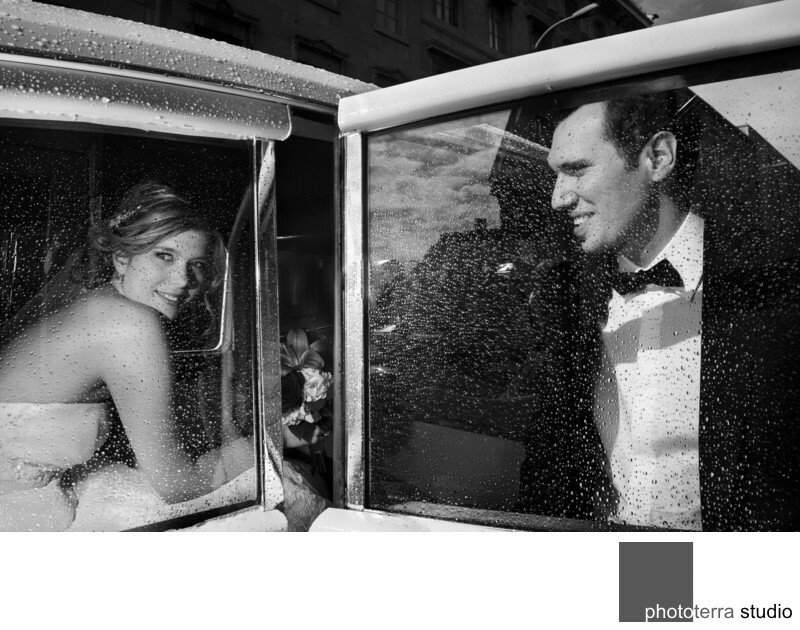 Photographed inside a classic-styledlimousine, Michael Greenberg used an off-camera flash on camera-left to illuminate the bride and highlight theraindrops. A bit of spill landed on the groom, but he's mainly lit by ambient light.